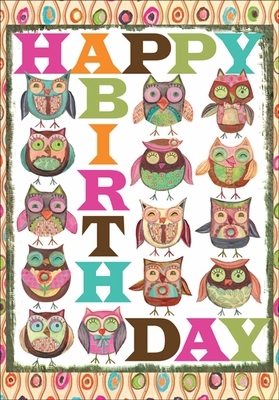 This light hearted, whimsical greeting card is sure to brighten a special volunteer's birthday! Colorful owls adorn the front of the card with a birthday message from OWL of us inside. This card is the perfect choice to send to a volunteer from a group or team of co-workers. 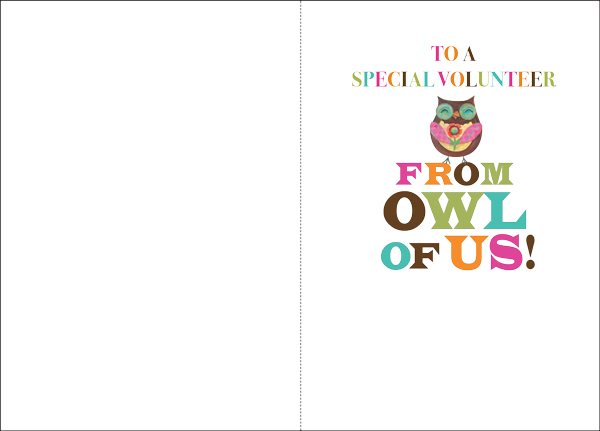 Inside: to a special volunteer from owl of us!